APPCN grew out of the Midwest Neuropsychology Consortium, an organization founded in 1988 by postdoctoral neuropsychology training programs located in the Midwestern United States. 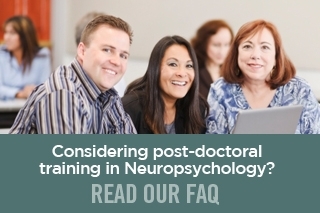 The Midwest Neuropsychology Consortium was a membership organization of postdoctoral training programs that supported the training guidelines prepared by a joint task force of the International Neuropsychological Society (INS) and Division 40 of the American Psychological Association (APA). In 1992, the programs belonging to the Midwest Neuropsychology Consortium joined with neuropsychology postdoctoral programs from other parts of the United States to form APPCN. APPCN continued the Midwest Consortium's mission of promoting postdoctoral training based on the INS-Division 40 guidelines. 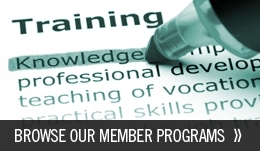 APPCN established bylaws and was incorporated in 1994 as a non-profit organization governed by a Board of Directors. In 1997, APPCN was a sponsor and participated in the further development of guidelines for education and training in clinical neuropsychology at the Houston Conference on Specialty Education and Training in Clinical Neuropsychology. In 2001, APPCN initiated a computerized match for resident selection similar to that already used by medical residencies and recently introduced by predoctoral internships. The APPCN Match is operated by National Matching Services (NMS), which provides matching services for psychology internship programs and many other postgraduate educational institutions in North America. In 2002, APPCN decided to permit non-APPCN programs meeting certain criteria to participate in the Match.